Let’s mix with locals. If you wander around Plaza Mayor, the very heart of the old town you smell something funny but nice. 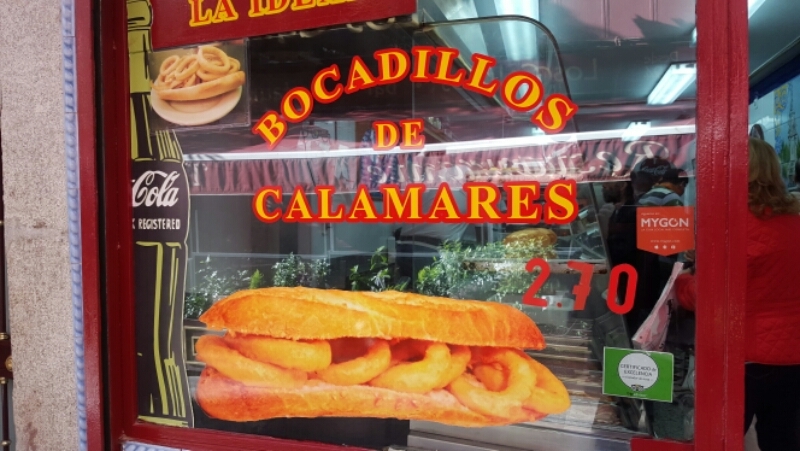 Dozens of bars prepar one of the most traditional Spanish fast food. 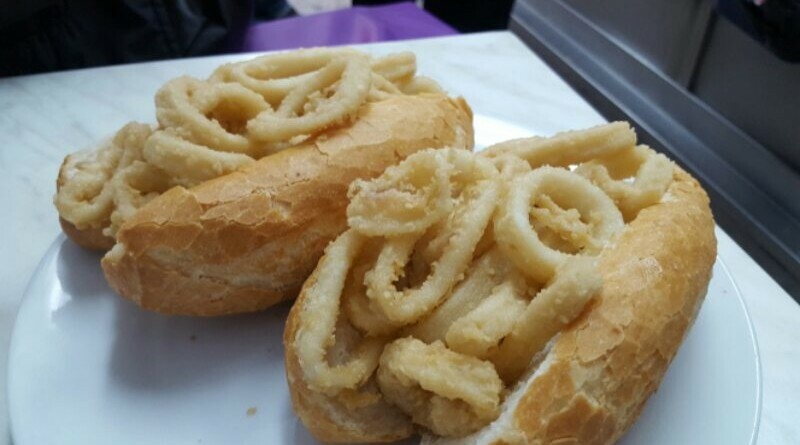 Bocata de Calamares..that’s to say, squid sandwitch. Crispy, rich and intense. Chilled beer is the perfect drink. You’ll love it. Usually enjoyed at the counter. Served alone or sprinkling lemmon or mayonnaise. Delicious and simple.